So how do you decipher the table? 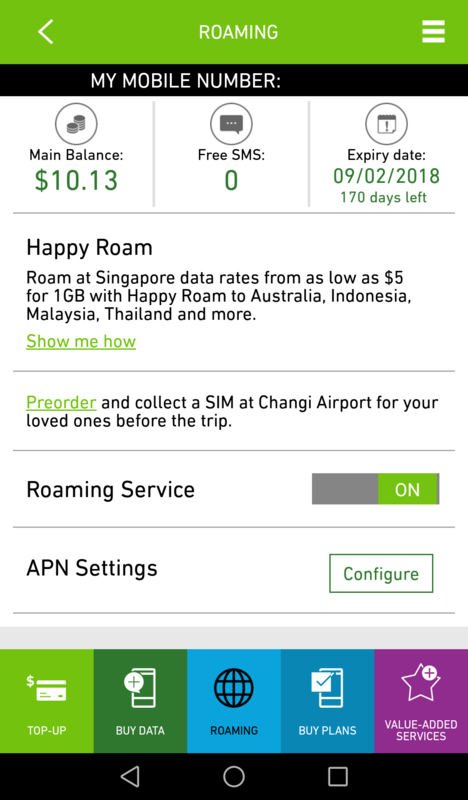 For Starhub Happy Roam it is straight forward. 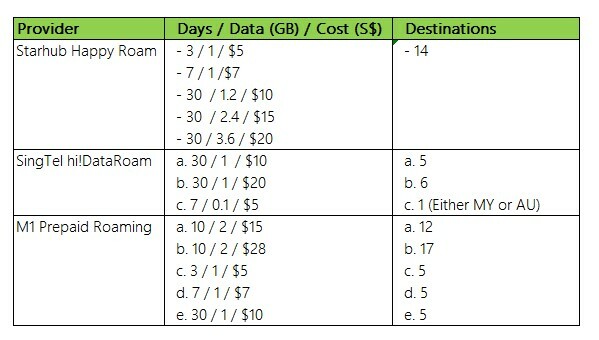 14 destinations covered regardless of your activated data plan – data plan here refers to the “days / data / cost” . For M1 prepaid roaming, depending on the data plan you signed up for, you will be covered for anywhere between 5 – 17 destinations. The biggest difference between Starhub and M1 here is coverage. I am skipping SingTel hi!DataRoam simply because they dont provide any value for me. My requirements are simple – 2-3 days trip, 1GB minimum and needs to be cheap. Based on anticipated trips, my destinations should be mostly Malaysia and Hong Kong. 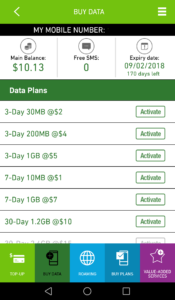 These requirements are easily met by both Starhub and M1 with their 3 days, 1GB, $5 data plans. In the end I went with Starhub. Well, in Malaysia, Starhub partners with all the operators. Whereas M1 only partners with Celcom. In Hong Kong, Starhub partners with Three (3) [3HK] whereas M1 partners with SmarTone. I am not sure which is better in Hong Kong, but for Malaysia, Starhub wins! And before I forgot, Starhub Happy Prepaid sim cards are available in 3 different denomination – $8, $15 and $50. You can purchase at any of the Starhub shops or through their partners. Note: I was able to get 4G internet when I was in Malaysia most of the time – my only touch points were Malacca, a few RnR stops and the custom checkpoints. 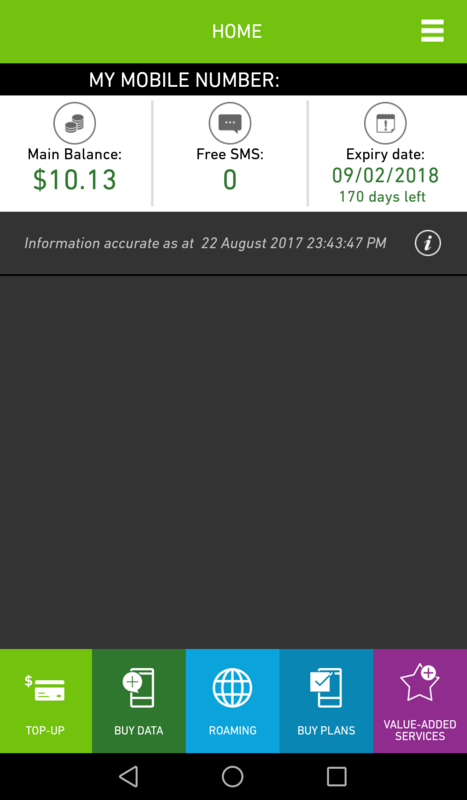 Download your android or iOS Starhub Happy Prepaid app. 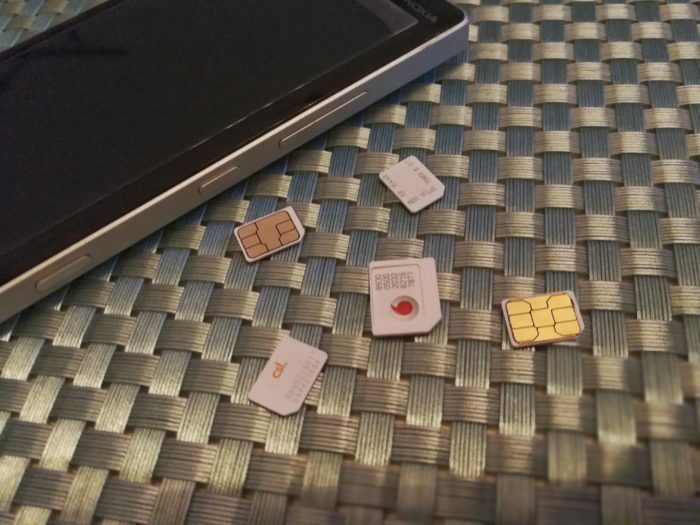 Install and run your apps and make sure your sim card is already activated. I am skipping the top up, assuming that you are on a newly bought sim card. And last but not least, remember to on your roaming serviec in the “roaming” tab. 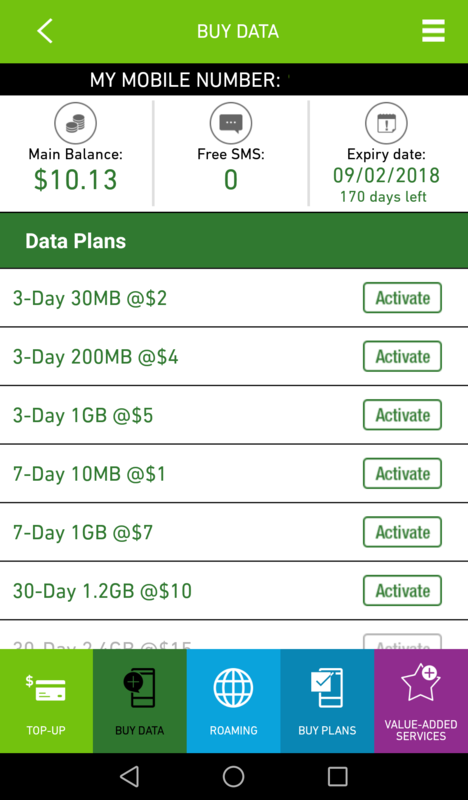 Reminder: if you are using a dual sim phone like mine, please direct your data to the slot that Starhub Happy Prepaid sits in. You don’t want unwanted surprises, do you? As your requirements and needs will most likely differ from mine, you should do your due diligence and research before you sign up with any telco (local or overseas). And if you are going to be overseas for a longer period – 5-14 days kind of long, consider the local tourist / traveller sim cards. More often than not, they provide far better value compared to data roaming with your Singapore prepaid sim cards. 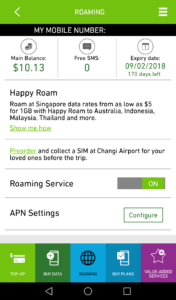 Again I have to emphasize, I only use Singapore prepaid roaming sim cards when I am on a short trip as find it a hassle to hunt for local sim cards when I touch down. Otherwise it is local traveller / tourist sim cards ANYTIME for me! Hope this post helps (somehow)!